If you are looking for an upgrade around the house and want to take the next step towards energy and cost-efficient living, then HVAC system may be the solution to your problems. Investing in efficient solutions for everything is crucial for reducing energy bills. So, why not make your home smarter and efficient too, by installing HVAC systems. They make your house energy efficient and provide great comfort. What does an HVAC System do? HVAC system controls and monitors the temperature around the house and ensures proper ventilation making your house comfortable, convenient and smart. It is important to know the various kinds of HVAC available in the market so that you can make an informed decision regarding your purchase. Single stage heating and cooling system are recommended for areas with extreme weather condition. 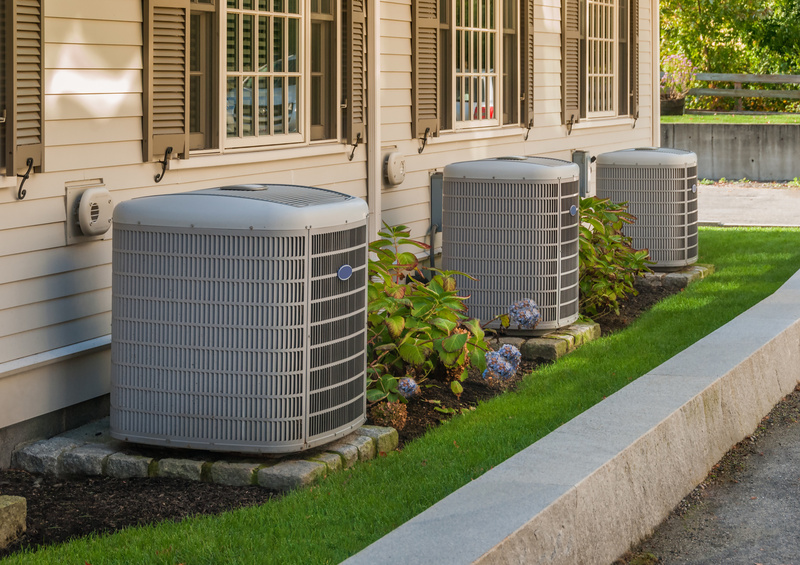 These systems are a favorite in colder winter or hot humid regions. They are set to perform at their best in extreme condition but on the downside, single stage heating or cooling system may always be working on full capacity to combat extreme temperature. This means that it uses a lot of energy even when it is not required and this will impact heavily on your utility bill. This is where a Multi-Stage cooling or heating system steps in. It can save cost and energy as it has changeable fan speeds to vary the ventilation of air around the house. This manages the temperature to an extent but the change is quite unnoticeable. We have all had the share of feeling too hot or cold when sharing a space with someone else. A zoned HVAC system controls the temperature of the different room as per your requirements. With the help of zone valves in air ducts, it manages the temperature of the different zone. A zoned HVAC system also solves the problem of over/under heating/cooling as smart climate control systems continuously maintains the ideal temperature requirement of the room. As a result, this type of HVAC system also saves you cost and energy. Living in a dry or a humid area can be very difficult. This where dehumidifiers and humidifiers step in and make your house comfortable and cozy. When using your heating and cooling system you can also control the humidity level around the house. As these systems are built into your Air conditioning or furnace they do not work without them. Therefore, if you want them to function individually then you should invest in a separate humidity controller. There are different types of heating systems like furnaces, boiler, steam radiator or forced water system. Furnaces use natural gas or propane for fuel whereas boiler can use gas or oil. It is up to you to choose a system that suits your household. It is up to you to decide whether you want a centrally air-conditioned house or a portable air conditioning. You can choose a viable unit for your home according to the weather conditions of your area. If you are looking for an efficient and reliable HVAC system provider get in contact with Climate Control Now.